Man, I love spending the summer with my son. I haven’t always felt this way though. I’m having more fun with him this summer than I’ve ever had before. Age 3.75 is basically the best. I blogged in May about how his day care situation was not right for him. I think part of my enjoyment of him comes from a sense of relief that he’s no longer at that school. He was unhappy and it showed in his behavior there and at home. Now he’s very happy. I’m getting a lot of love from requests to snuggle (so rare from a kid who is constantly moving) and endearments (he called me “sweetie pirate” — high praise indeed). But it’s not just the two of us this summer though — I’ve put him in half-day day camp. He is loving his first taste of camp. How can I tell? He gets ready around 7 am and camp starts at 9. We used to have to drag him to day care and now he’s so excited about camp that he’s ready early. I believe he is having a different experience because of two things: curriculum and instruction. All of the activities are interactive and hands-on. I really believe that learning at this age is all tactile or at least multi-modal. Also the teachers are young and have a ton of energy. Then there’s “water day” where I take him to camp in his swimsuit. So it’s basically heaven. Parenting has made me a better teacher/therapist. Now I know what it feels like to get a bad report on a student virtually every single day. And now I get to see how changing the environment, the curriculum, and the instruction turns a child around. I should point out that the comparison isn’t entirely fair: he’s at camp just over two hours compared to eight hours before. But man, I’m loving my boy. What I love about this container is that you can have one dry item and one not-really-dry item in one container — no need to pack two separate containers. So crackers and sliced apples can go together. 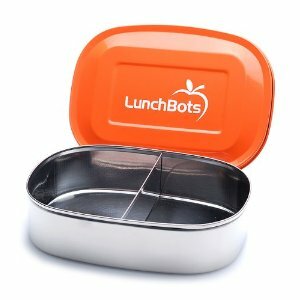 You know, I’m a devoted Laptop Lunches person, but LunchBots are seriously useful products in a different way. 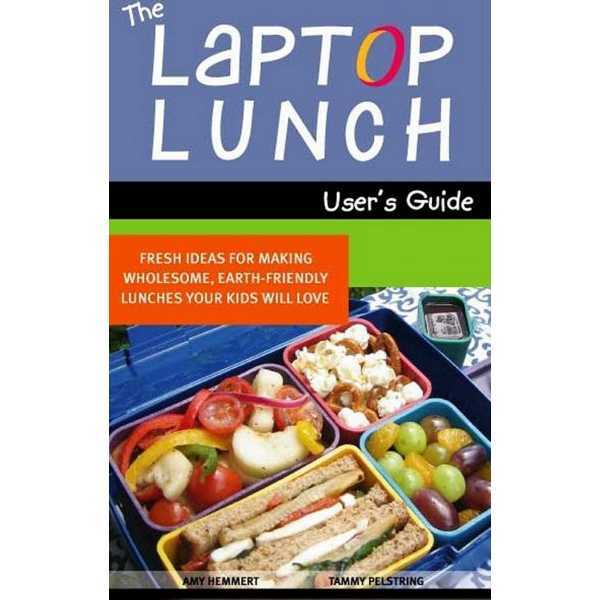 I have two of these user guides, which you get when you purchase a laptop lunch system. It’s only $2.99 on their website, but it’s chock full of lunch recipes and snack ideas in list form. Additionally there are diagrams of what to put in each box, discussions about making lunch healthier (including comparing ingredient lists). They had a nutritionist go through this book and it shows. To win them both in the giveaway, leave a comment on this post! I will be choosing one name at random on July 4th. Happy summer! I really enjoy your website – as a teacher and mom, i see a lot of parallels to my own life. Love it! It looks so neat~! Would love to win! I have enjoyed your blog forever! glad you are enjoying your break! the lunch book looks like it would be a real inspiration! The right school/classroom can make such a difference for a child! It’s so important that the school and family develop a positive relationship and everyone is on the same page!